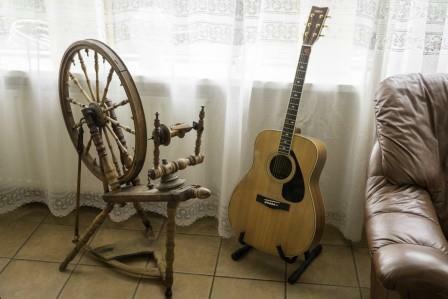 Having an acoustic guitar stand is often an after thought and whilst acoustic guitar stands are not the be all and end all of your guitar gear, they are something that can affect how often you play and how safe your guitar is from dings and scratches. In terms of keeping your guitar free from damage, and as an easy way to keep the humidity in balance. This is a great way to keep your guitar – especially if you have a hard case. But when it comes to actually playing your guitar this can act as a psychological barrier to playing. 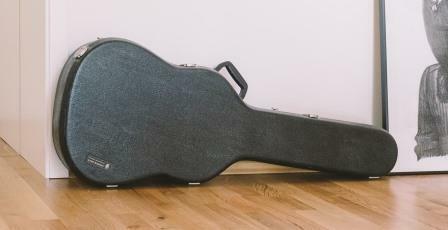 Even though it doesn’t take long to retrieve your guitar from the case, it can still be the difference between you picking it up to play and to not. If it’s out if the open, you are more likely to just pick it up and start playing, than if you have to go into your case to get it. Of course, if you have no trouble with that particular psychological barrier, then this is a great option for guitar storage. These are the least appealing scenarios when it comes to protecting your guitar from damage. 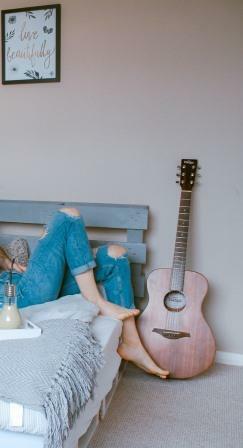 I have to admit I’ve been guilty of this far too often in the past (lent up against a wall or sitting on a chair or couch that is – I’d never leave a guitar lying on the floor – but I’ve seen people who do!). And it’s easy to knock your guitar over accidentally. And if it’s on the floor – well, we all know what can happen then. But in terms of playing the guitar, these options, however dangerous for your instrument, do provide easy access to your guitar – and you’re likely to play it more than if you were to keep it in your case. But that’s not to say for a second that I recommend this strategy to anyone! You have just as easy an access when you have your guitar on a stand (with much less potential damage). 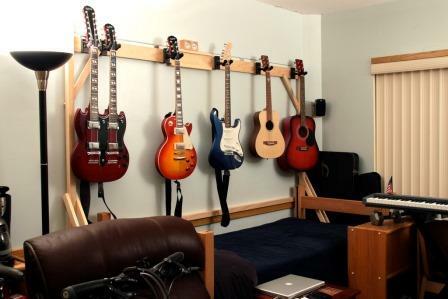 Whilst not as safe for your guitar as keeping it in its case, this is a much safer option than keeping it leaning against the wall or lying on the floor. And it’s arguably safer than a floor stand too. And it’s easy to see so that you remember to play the guitar – as it’s prominently displayed – and easy to access. And whilst not as easy to pull down to play as just leaving it lying around – and not quite as easy as a floor stand either – it is relatively easy to access the guitar, compared to keeping it in its case. You could argue that this is marginally less safe than a hanging wall stand – and its not as safe as your case, of course, but it’s a lot safer than free-standing on the wall or lying on the floor. And it’s the easiest access – maybe just a fraction longer/more difficult than picking up a freestanding guitar, depending on the style of the stand, but there’s so little in it – and the extra protection for your guitar far outweighs that speed of access, in my opinion. So, you get a good balance of protection and ease of access with this option, as you do with a wall stand. So overall, I would go for a stand (be it wall or floor) over a case or freestanding the guitar. I find it provides the best balance between Protection and Ease of Access. There is one other thing to take into account though, which was briefly mentioned earlier in this post. And that’s humidity control. For any of the options outside of the case, this means having a humidity-controlled room to store your guitar in. If you are storing in your case, there are other ways (e.g. humidipak) to keep your guitar in the right humidity. Check out the link below for more on humidity control. How do you store your guitar? Any comments, tips or questions welcome in the comments section below. This was such a helpful discussion on the storing of a guitar. The clear explanations, well organized, with illustrations were easy to understand and very motivating. I’m getting a floor stand! Thanks.